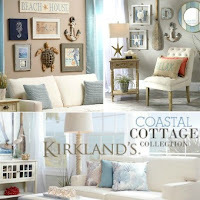 From the Classic Coastal beach cottage look, to shabby chic, to casual elegance, these small coastal living rooms embrace coastal cozy with great style. 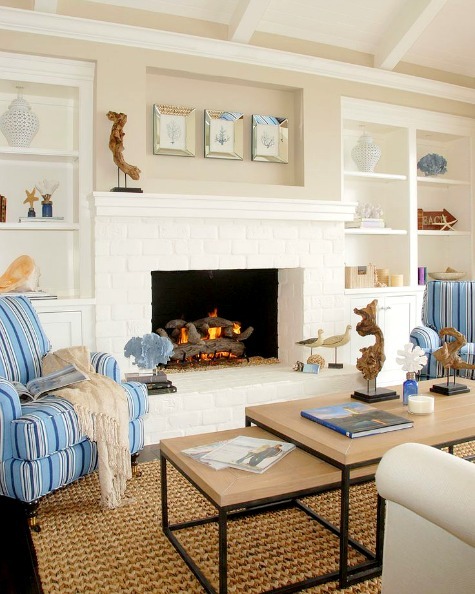 Coastal living room design by Designer Tracey Rapisardi's. 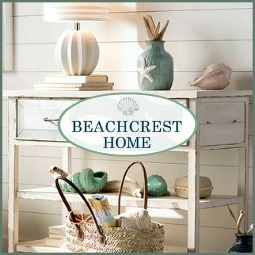 Classic comfortable beach cottage style with distressed wood furnishings and a bright cheerful pastel color scheme. 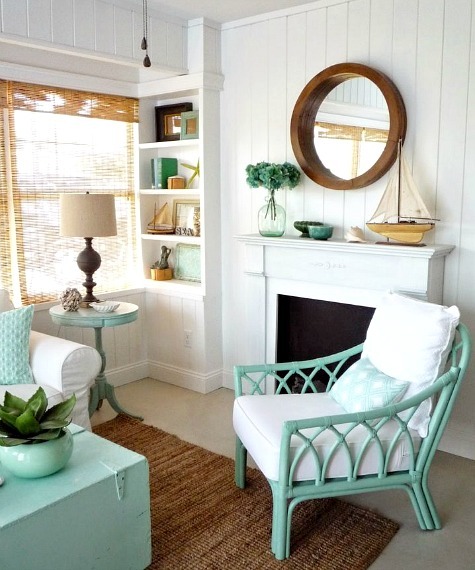 Chic small coastal living room decor idea with second hand furnishings tied together with a fresh beachy mint green paint color. 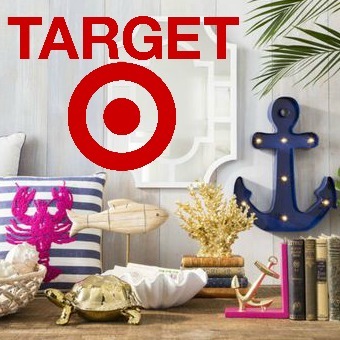 You can learn more about this small living space on Flea Market Trixie. 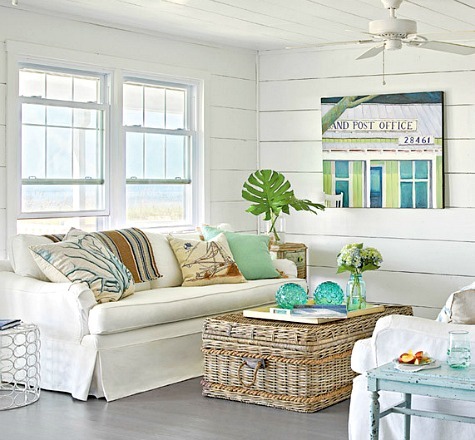 The small living room of this Classic Coastal Cottage is kept simple, airy and bright. 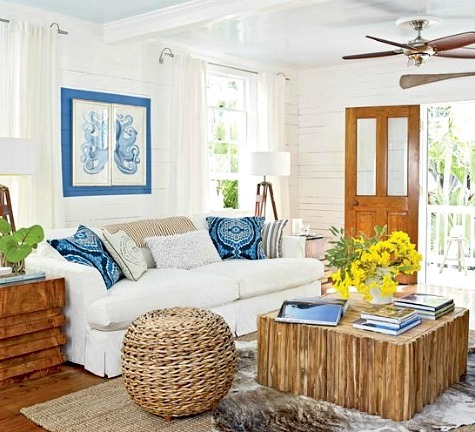 White painted wood paneling, slip covered seating and a large rustic Rattan Trunk Coffee Table create a casual space that is easy breezy. 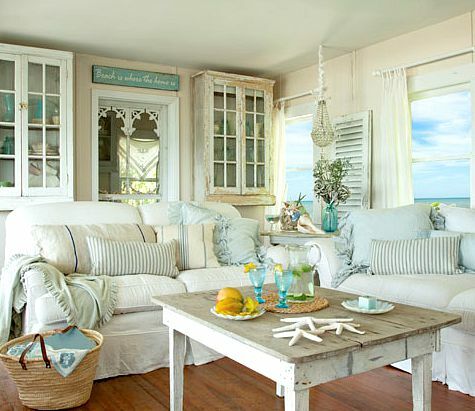 This Shabby Chic Coastal Beach Cottage style living room celebrates the beauty of imperfections. 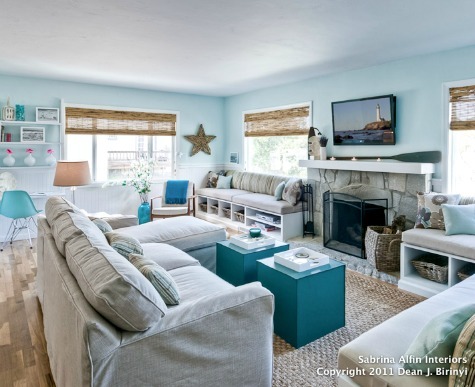 Bright aqua is paired with black in this small coastal living room. 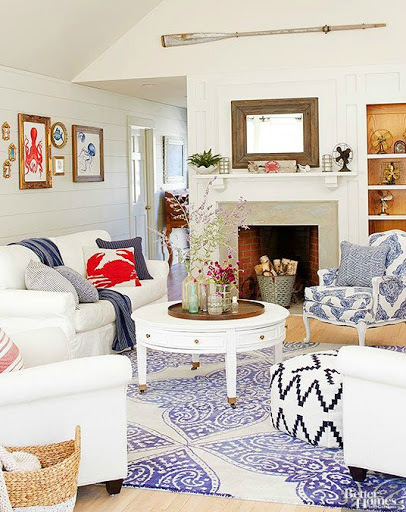 A casual elegant living room by Breezy Designs. 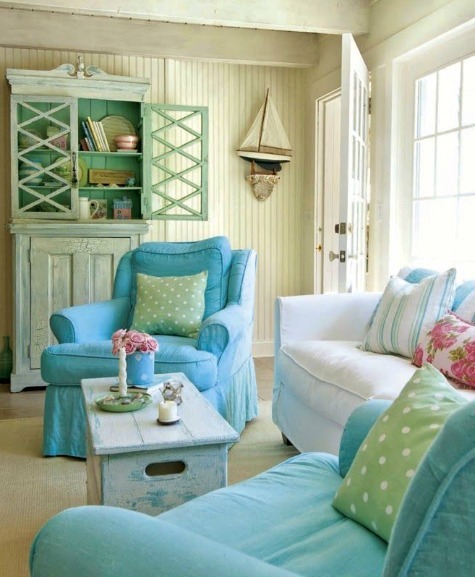 This small living room incorporates window benches with storage and an office nook. 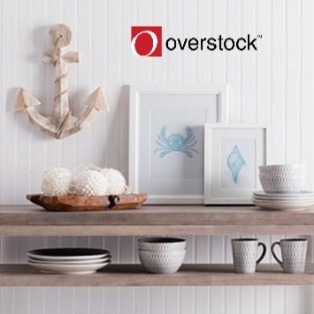 Driftwood Star and Oar on the mantel bring the seaside to the room. 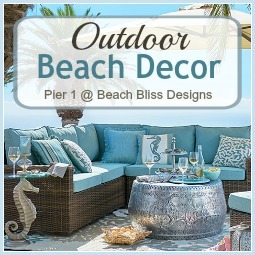 Designed by Sabrina Alfin Interiors. 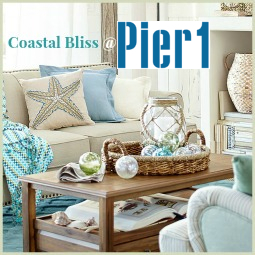 A rustic natural fiber Rug anchors this elegant small coastal living room by Designed to Move. 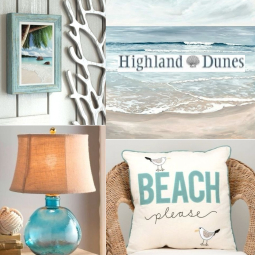 You see lots of coastal beachy touches in the space. 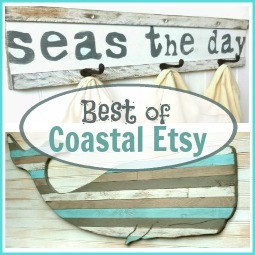 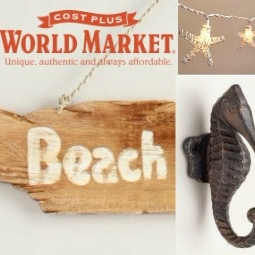 Driftwood on Pedestals, Carved Shorebirds, Mirror Frames, Beach Arrow Sign, Sea Life Bottles and Coral Sculptures. 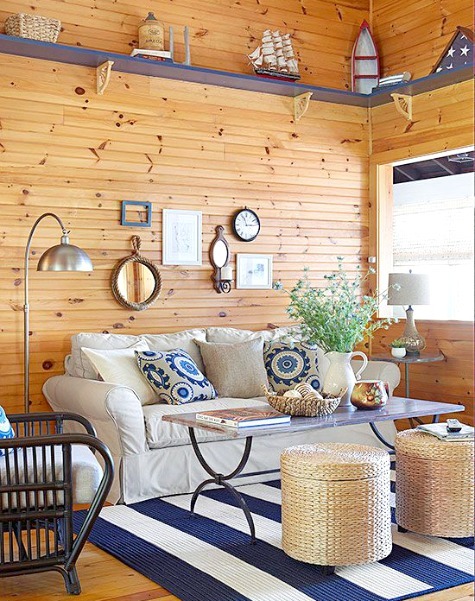 Fresh blue and crisp whites, along with lots of natural materials make this small coastal cottage living room a cozy bright space to kick back. 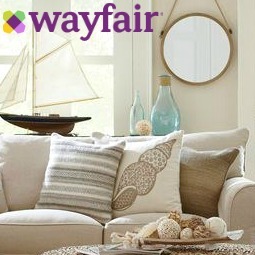 Via Wayfair. 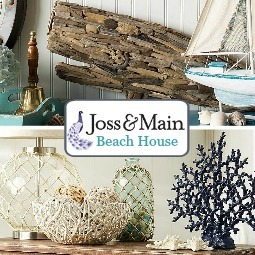 Small coastal country style cottage living room in blue, filled with recycled and restyled furniture bargains and treasures from the sea. 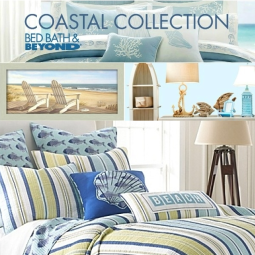 Via BHG. 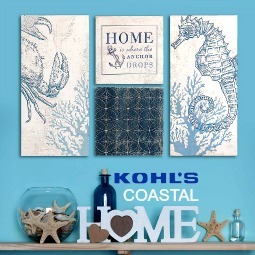 Knotty pine walls warm up this small coastal living room with nautical cottage elements, featured on 21 Nautical Living Room Decor Ideas. 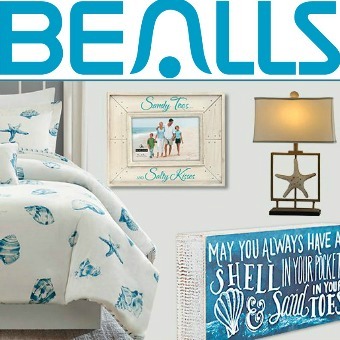 Via BHG. 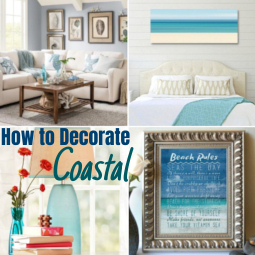 Eclectic small coastal living room idea with pops of red. 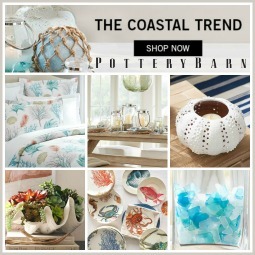 Via BHG. 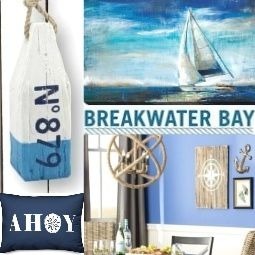 Small nautical cottage living room decorated captain style. 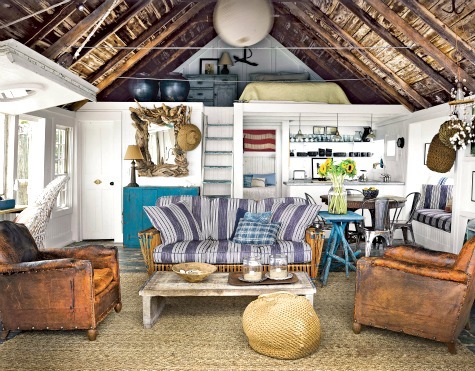 Rattan sofa is covered in fabric from Ralph Lauren Home. 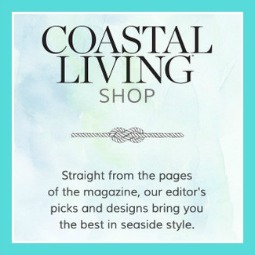 Via NYMAG.